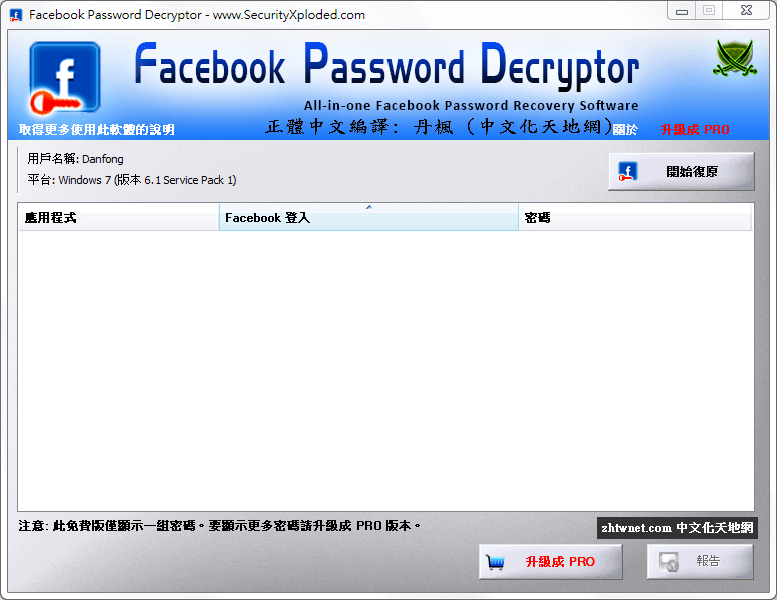 Facebook Password Decryptor is the FREE software to instantly recover Facebook account passwords stored by popular Web Browsers and Messengers. Most of the applications store the Login passwords to prevent the hassle of repetitively entering the password by the user. Often these applications use their proprietary encryption mechanism to store the login passwords including Facebook account passwords. FacebookPasswordDecryptor automatically crawls through each of these applications and instantly recovers the encrypted Facebook account password.